cost Pricing works on a sliding scale, so it gets cheaper depending on the number of nights booked. Please see our website for more. Need camping tents for a camping-themed kids birthday? Are you going on a daddy-child school camp-out, but don't have the gear? 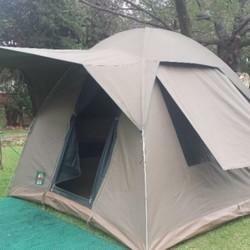 We offer tents and equipment for REAL camping. 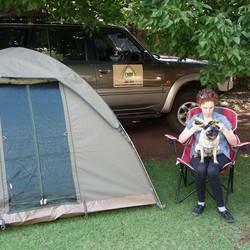 We offer a range of tents and accessories, from 2-man hiking tents to large family tents suitable for a week away. 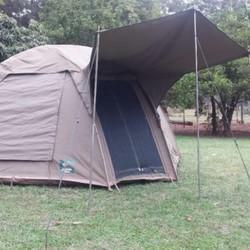 Easy to put up, made of army-tent style canvas with spring steel poles, these are of the highest quality. Free delivery and collection within a 10km radius, or R10.00 per km outside of this. Please visit our website for stock and pricing.